The Diet on Saturday passed a controversial bill to overhaul the immigration control law, adopting changes meant to provide the graying nation with a supply of foreign workers in what are often viewed as blue-collar sectors. The revised law marked a drastic policy shift in immigration-shy Japan, paving the way for an influx of an estimated 340,000 foreign workers in the five years after the new visa system comes into effect in April next year. But the bill, which dominated discussions in the current extraordinary Diet session, has elicited a fierce backlash from opposition lawmakers, who say it is void of key specifics. In its provisions they see an echo of the state-sponsored foreign trainee program, which is rife with allegations of human rights violations including below-minimum wages, bullying and sexual harassment by employers along with harsh working conditions. The last few days saw fresh details emerge over what many perceive to be exploitative aspects of the internship program. According to Justice Ministry data made available by Constitutional Democratic Party of Japan lawmaker Akira Nagatsuma, 69 foreign trainees died between 2015 and 2017, including six who took their own lives. The data, copies of which were obtained by The Japan Times, also showed that there were at least 11 trainees who fell victim to dangerous accidents while on duty, apparently underscoring the often hazardous nature of their jobs. Those accidents included getting crushed under a forklift, sliding off a scaffold, and falling into a well pump and drowning. They included people from China, Vietnam, Thailand, the Philippines and Indonesia, while their ages ranged from 18 to 44. “This is a devastating, cruel reality,” CDP lawmaker Yoshifu Arita told the plenary session of the Upper House prior to the bill’s passage. Arita particularly took issue with the fact that many specifics of the new visa system are expected to be mapped out via ministerial ordinances after the bill is officially enacted. “With no clear countermeasure in place, I’m sure the new system will entail similarly serious human rights violations,” Arita said. Many of those currently engaging in the Technical Intern Training Program are expected to transition to the envisaged visa system, a fact the opposition claims points to the inseparability of the two frameworks. Abe, however, has sought to dissociate the planned acceptance of foreign workers under the new arrangements from the current internship program, by repeatedly claiming the two are fundamentally different. 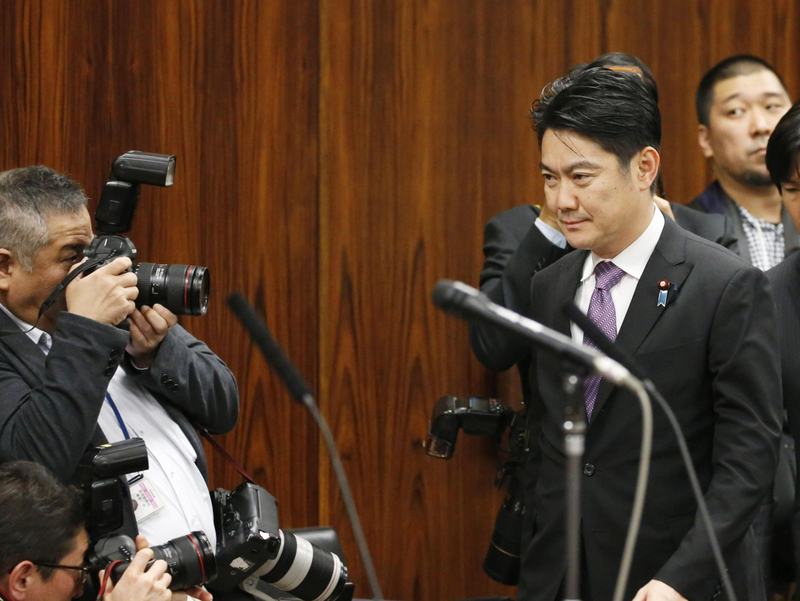 On Friday, opposition parties resorted to a last-ditch effort to sabotage the bill’s passage, submitting a censure motion against Justice Minister Takashi Yamashita, who is overseeing the revision and Prime Minister Shinzo Abe. The delaying tactics pushed back related deliberations to well into the evening, but the bill was eventually voted on early Saturday. 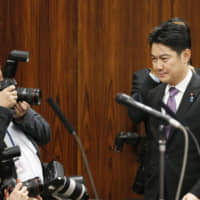 “The bill must be enacted swiftly based on thorough and efficient discussions at the Diet in an age when Japan grapples with serious labor shortages,” lawmaker Takamaro Fukuoka, of the ruling Liberal Democratic Party, told the Upper House ahead of the bill’s passage. Opposition parties had questioned not so much the prospect of a greater foreign influx, but the heavy-handed way the ruling coalition had pushed the bill through the Diet, spending just a few weeks deliberating the changes despite the magnitude of the impact they could have on society. Recent media polls, too, show that the public was more upset over the lack of discussions in the Diet than a potential inflow of foreign workers. A survey conducted by the conservative Yomiuri Shimbun last month, for example, found that 48 percent of its respondents supported accepting more foreign workers, versus 42 percent who opposed. Under the revised immigration law, two new official work visa statuses will be created. The first category, which targets lesser-skilled workers, will be renewable for up to five years and in principle will not allow those eligible to bring along their family members. The second category applies to what the government describes as more “seasoned” individuals. It would be renewable indefinitely for workers with valid employment contracts and, unlike the first category, would allow workers to bring along a spouse and children. The government has pointedly argued that the new statuses would not amount to Japan shifting toward accepting “immigrants,” out of consideration for concerns that an inflow of foreign workers could result in domestic workers losing their jobs or crime rates soaring. With debate on constitutional reform sidelined, has immigration law been a pyrrhic victory for Abe?